At Tom's, we see truck drivers as our partners, not our enemies. 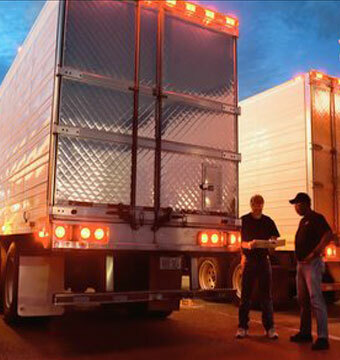 We understand the stresses that truck drivers face and go the extra mile to treat them with respect. Using our lumping services reduces driver fatigue and the risk of injury that can occur from loading and unloading. And we always take the time to talk about any concerns or questions truckers have regarding our loading and unloading practices and costs. Another advantage Tom's offers is payment flexibility. While most independent lumping services expect or demand cash only from truckers, we do not. We take checks and are willing to set up charge accounts. As with any business relationship, trust is important. We trust you and, after using our lumping services, we believe you will come to trust Tom's as well.